Earlier today, we covered what Il Mattino had to say about Chelsea’s interest in Maurizio Sarri. The Naples based newspaper made it clear that discussions between the manager’s agent and Roman Abramovich’s club had taken place, on a more than informal basis, but that before anything else happened, the Chelsea owner needed to find a way to get rid of Antonio Conte first. 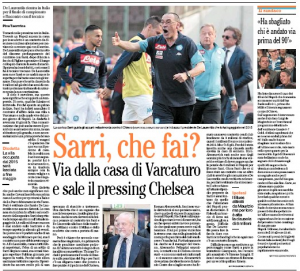 What we failed to notice was that, in the same article, Il Mattino also mentioned the Napoli head coach had recently cancelled the lease on his house in the city. Now, that doesn’t necessarily mean it’s because he’s preparing to leave. As Il Mattino state, he could just be looking around for a bigger house, or fallen out with his landlord, but the Italian newspaper can’t help but feel this is the first step towards an exit. Why? Because he’s a ‘superstitious man always goes away with the same suitcase and is tied to certain things in a visceral manner’. 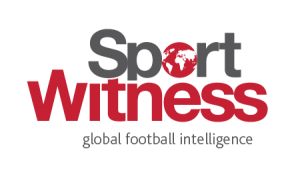 Whether his house falls into the list of things he’s tied to in a visceral manner, we don’t know, but the fact Il Mattino put this and Chelsea’s interest in the same article, as well as the fact Aurelio de Laurentiis and Sarri aren’t any closer to reaching an agreement regarding renewal is something to think about. Probably not for very long, but if he moves into a new house in the coming weeks, we’ll know it was nothing.